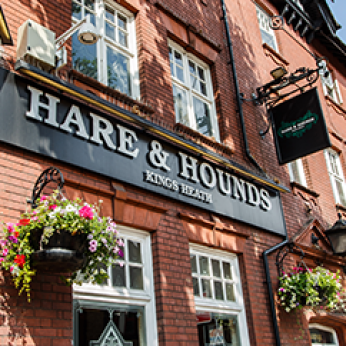 Situated in the South Birmingham suburb of Kings Heath, the Hare and Hounds has been around since 1820, but has stood in its present form since 1907. This, along with the beautiful and unique Art Nouveau tiles that line the entry hall and staircase, is a major contributing factor to its current Grade II listed status. We are so proud and delighted to have been selected as one of the best pubs in the country. The Great British Pub Awards are designed to represent all that is good about the great British pub and we have made the National Finals.